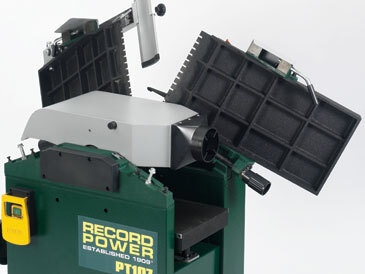 Record PT107 10" x 7" Heavy Duty Planer Thicknesser | Record Power Woodworking Machinery , Bandsaws,Lathes,Saws,Extractors,Morticers | Data - more than power tools! This machine is on display in our Cardiff showroom, as a display model only. normally within 2 to 3 working days. 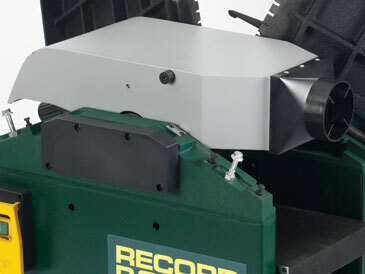 or arrange for an in-store demonstration please feel free to contact us. This Planer Thicknesser is perfectly suited to the discerning woodworker who expects professional, reliable performance from a solid and durable machine but doesn’t have the space or budget for a larger industrial machine. Heavy duty cast iron tables give this machine a degree of accuracy not found elsewhere on machines of this capacity or price bracket - infeed table is easily and accurately adjusted using the robust lever and clear depth scale. 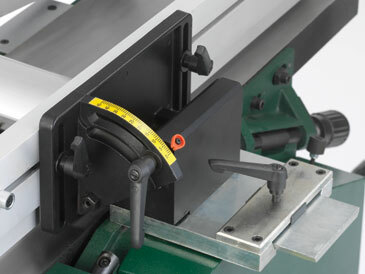 In addition, the PT107 also boasts an outfeed table adjustment facility, meaning truly exact calibration can be achieved to ensure superior accuracy when planing.For easy, rapid conversion to thicknessing mode, the hood is a large, steel one-piece swinging design. 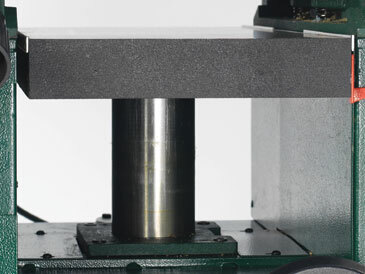 The thicknessing table is supported by a substantial central column, giving plenty of support to even the heaviest workpieces. 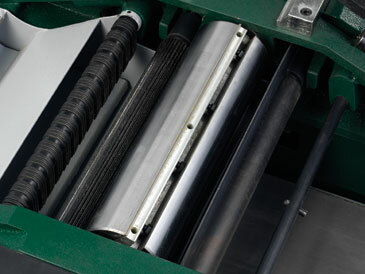 To aid the thicknessing of particularly difficult stock, a clutch is provided on the thicknessing feed to allow removal of stock if jamming occurs. This alsomeans that the thicknesser can be disengaged when not in use to save wear and tear on internal parts. 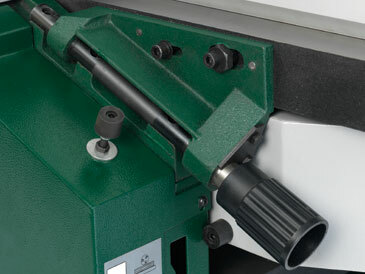 Fine Adjustment: Independent infeed and outfeed table adjustment allows for precision surface planing. Dust Extraction: Is possible in both planing and thicknessing modes due to the PT107’s large extraction hood, helping to avoid the build up of dust and large chippings. Easy flipover design with micro-switch for safety. Thicknessing table: Has a large rise and fall handwheel and easy to read scale for fine adjustment. 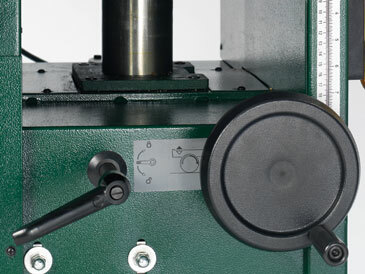 Cutter block: The three knife cutter block ensures an excellent finish. Sturdy fence system: The fence can tilt up to 45º and is supported by a strong mounting system. Central column: The thicknessing table is supported by a sturdy central column for superior stability and easy rise and fall adjustment. Swing away tables: Changeover to thicknessing mode is quick and easy thanks to the one-piece swinging hood design and gull-wing tables. 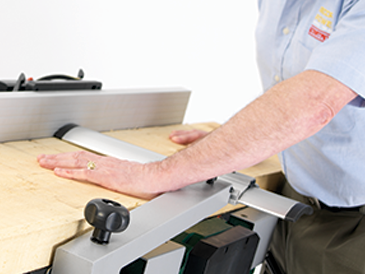 Guard: The guard is easily adjusted to allow for varying sizes of timber.